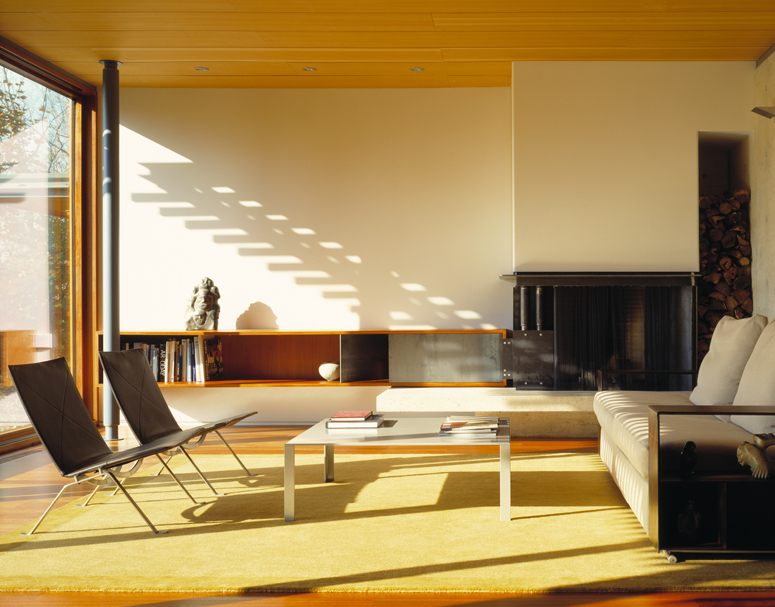 I don’t remember where I saw the Shim-Sutcliffe–designed house first — it’s been published in countless magazines and newspapers including Toronto Life, the New York Times and Wallpaper. The rich materials — mahogany window frames, Douglas fir ceilings, weathering steel walls — stood out for me, as did the warm, updated take on classic mid-century modernism (the design not-so-subtly cribs masters like Alvar Aalto and Carlo Scarpa). But it was in 2007 that I really fell hard for the 4,200-square-foot, four-bedroom place. I was working for a small (yet great) local architecture office — AKB — that was doing some interior renovations on the house. I had to go and help measure something in the garage, and while there, owner Yvonne Fleck graciously offered me a tour. In pictures, the home looks stunning. In person, the meticulous craftsmanship and care that went into every single detail really stands out. Fleck has a superlative art collection, but the paintings, photos and sculptures on display were almost redundant given the impeccable architecture. 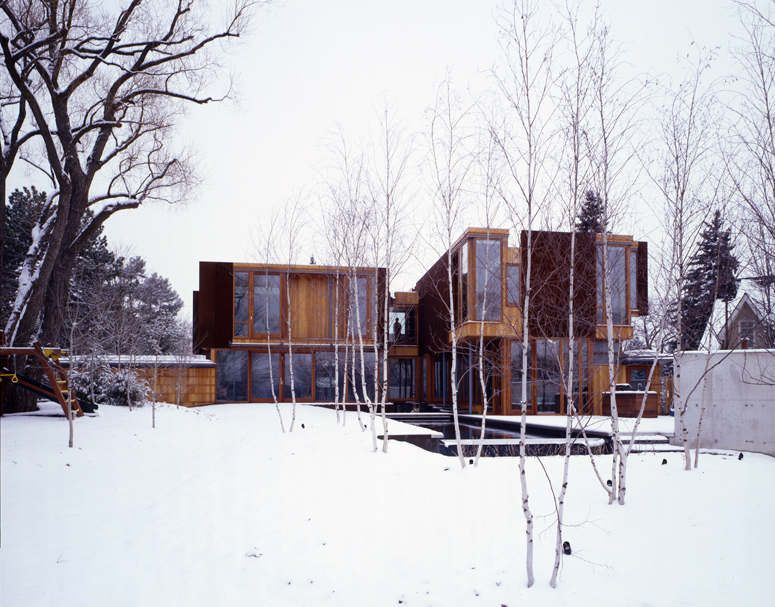 Shim-Sutcliffe’s Weathering Steel House. Photo via thechestnutparkblog.com. 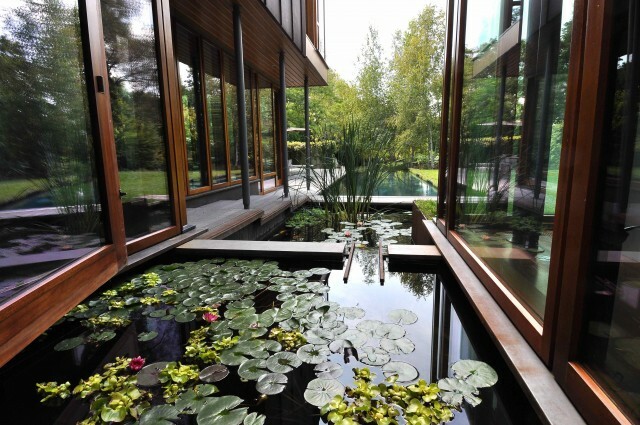 Though its on the outside, a stepped lily pond is essentially the lynch pin of the house: it’s visible from the main living spaces, including the dining and sitting rooms. The lap pool has a dark lining to make the water look more serene. The look works especially well with the light grey decking (which I think is Trex). In the dining room, all kinds of materials are coming together — including raw concrete, mahogany, Douglas fir, tile, drywall, glass and steel — yet the space still feels harmonious. 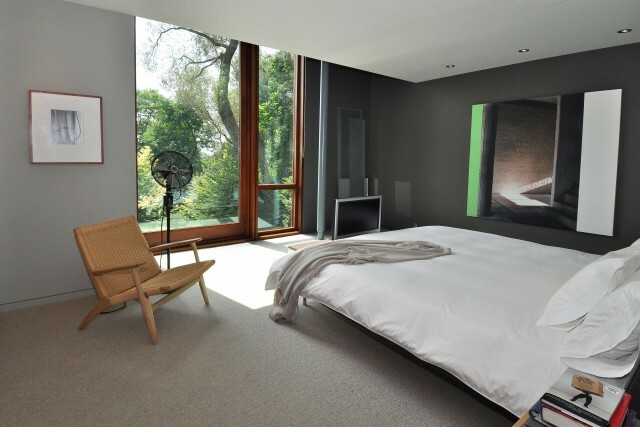 As a contrast to the opulent materials and over-the-top detailing in the rest of the house, the bedroom is really restrained and simple. A perfect place for relaxation. This entry was posted in Shelter Skelter and tagged AKB, Alvar Aalto, Architecture, Carlo Scarpa, David Bowie, Design, Douglas fir, Facebook, Iman, Lap Pool, Lily Pond, mahogany, Mark Zuckerberg, Real Estate, Shim-Sutcliffe, The New York Times, Toronto, Toronto Life, Trex, Wallpaper, Weathering Steel, Yvonne Fleck by mmhague. Bookmark the permalink. What a wonderful blog !! It is indeed a truly magical and extraordinary property ! !